Your website is one of your most important corporate assets. It is the definitive online identity of your brand and source of information about your product offering and market positioning. Social media tools can help you disseminate your message across large audiences and engage the people most interested in what you do. 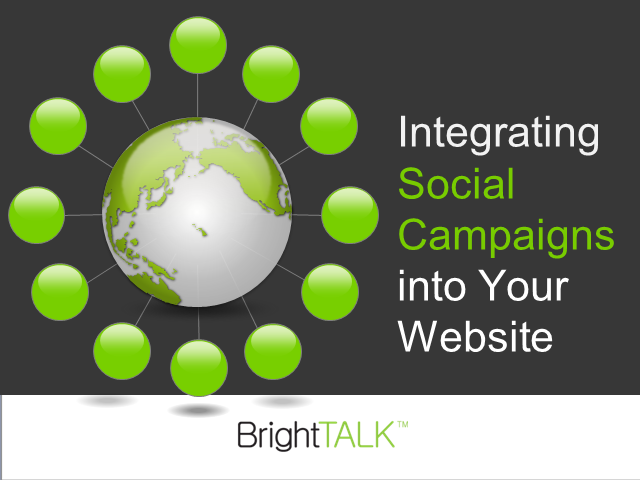 Join Kathryn Kilner, Marketing Manager at BrightTALK, to find out how you can integrate social campaigns with your website to increase time on site and extend the reach of your messaging.